The trail is also open to all walking group members any day of the week during daylight hours. Please send us an e-mail to learn more about how to become a walking group member.Workdays we schedule an early morning group walk that consists of devotions, prayer and stretching begining at 6:15 AM. Come and join us at the gathering place, our newly rennovated outdoor chapel. 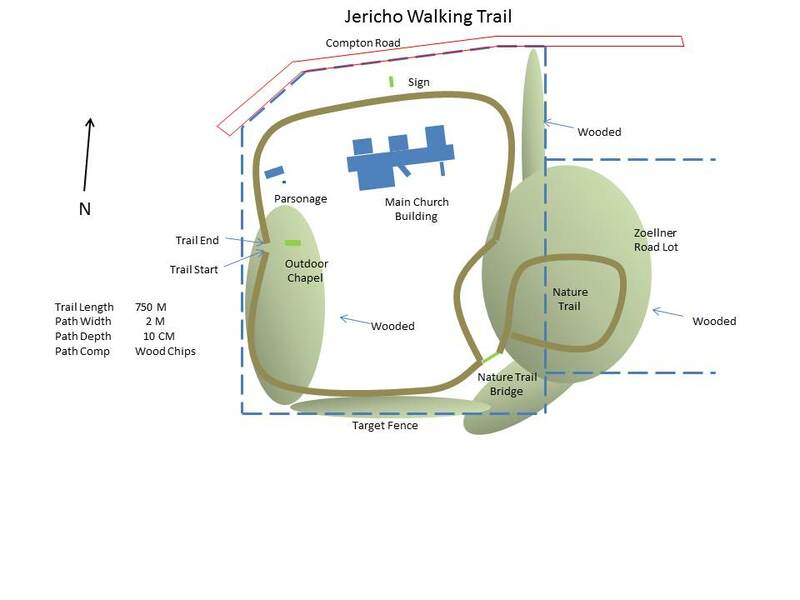 We promise to have you on the road to the rest of your day by 7:30 AM with a cup of coffee in hand.The Jericho Walking Trail is a 750 meter path that winds through the beautiful 13 acre lot that surrounds the Christ Lutheran Church facility.